Viola 'Heartthrob' is a striking and exciting introduction from Terra Nova. 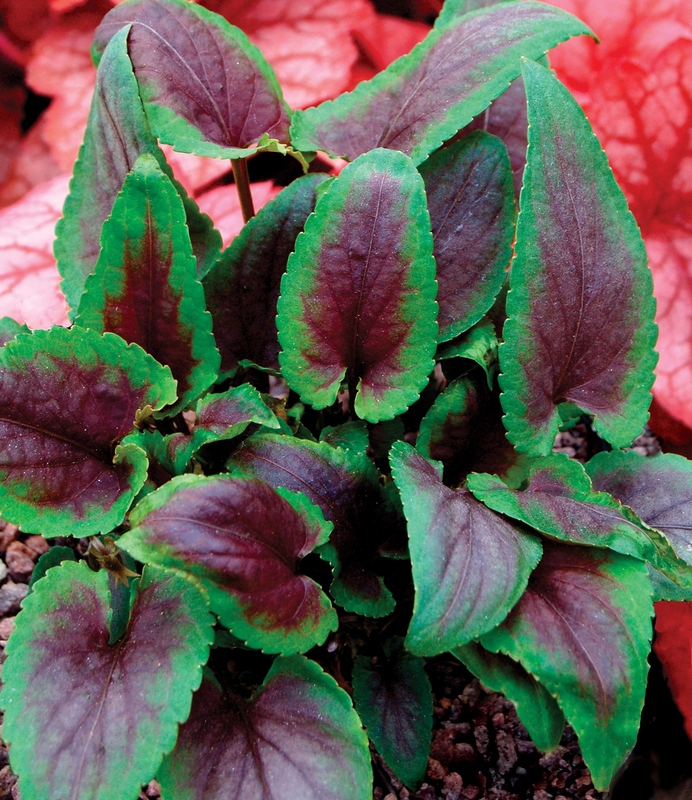 This perennial violet features bold leaves with a strongly contrasting deep burgundy splash. The finely etched margins only add to its beauty. Grows nicely in containers or in the front of a border. The flowers are partially obscured by the leaves but this beauty is really grown for its unusual foliage. It occasionally produces seedlings but it is not intrusive. This hardy violet is a herbaceous perennial from the Violaceae Family. Deer-resistant. PP#19996. MATURE HEIGHT: Foliage 8". Flowers 7".